Dallas is cracking down on car boots in paid parking lots. Private parking lots in Dallas will eventually be required to issue receipts before they can boot cars under tougher rules approved by the City Council on Wednesday. Over the past year, Dallas parking lot operators have begun booting cars for failing to pay lot fees, with a fine as much as $100 to remove the boot. 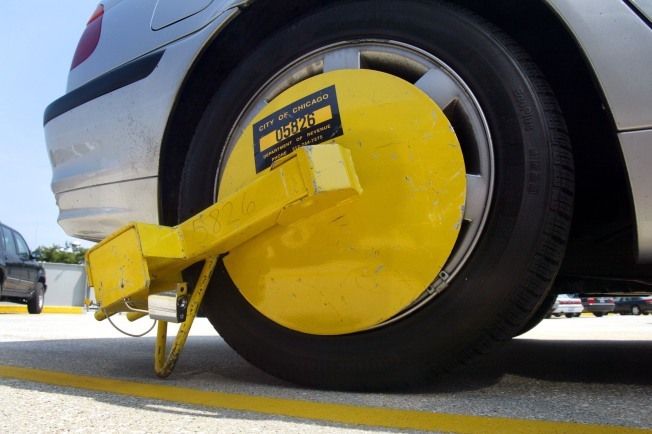 Many drivers complained that they paid to park, but got booted anyway. The complaints came from drivers who parked in private lots that use old payment boards with slots to insert cash for a corresponding space. The driver receives no proof of payment, and attendants are generally not on duty at the time the money is inserted. In months of City Hall discussion about the issue, parking companies claimed they monitor the slots with video surveillance so they could prove later whether a customer paid. Parking companies complained that receipt systems would be expensive and unreasonable for small lots. The compromise approved Wednesday will require receipts given by machines or a lot attendant as proof of payment for any lot opened after Wednesday. It will impose the receipt requirement in phases for existing lots. The largest number of boot complaints came from Deep Ellum, and that area will get the receipt requirement on Jan. 1, 2010. Other lots would be added by July 1, 2011. By Jan. 1, 2011, all lots in the city must provide receipts before they will be permitted to boot cars.